We specialize in hauling step deck loads throughout the United States. These trailers are also referred to as a single drop, drop deck or open deck trailers. 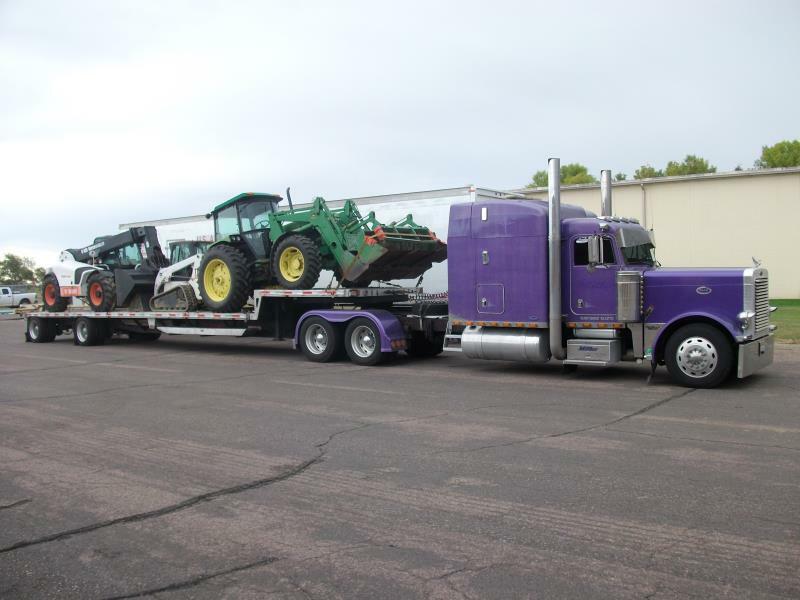 They are used to haul many of the same types of freight as a flatbed trailer. The advantage of step deck trucking is that this trailer can haul a higher load without having to buy permits for the load. We offer a variety of step deck, open deck trailers to transport any type of shipment – long, over-sized, or wide load. When customers experience situations where loading time and yard traffic is a big issue, we can drop empty trailers at your facility to help you resolve this potential problem! We offer a variety of step deck, open deck equipment options in order to meet customer specifications including: 48′ flatbeds, 48′ – 59′ step-decks, RGNs, double drops, and other specialty equipment including multi-axle trailers for extra heavy loads. We have the ability to handle and transport any type of shipment. All of our step deck trailers are operated by knowledgeable drivers experienced in the safe and on time delivery of your shipment wherever it may need transported.